Guitar For Stylus RMX Doug Wamble Guitar Bundle – Save 25%! 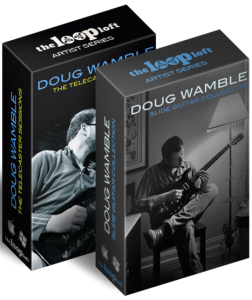 The Loop Loft bundled both of Doug Wamble’s Artist Series collections together, providing you with over 1.1 GB of guitar loops at a 25% savings. Included in the bundle is both the popular The Slide Guitar Collection and The Telecaster Sessions, supplying you with a vast range of Wamble’s incredible guitar playing that touches on everything from blues, funk, jazz, soul, country and rock.